Today would have been Jen Walsh’s 40th birthday. Jen and I were moms, fighting this disease. We were the same age, born the same month, facing many of the same challenges.​ Jen passed away a little over a year ago. 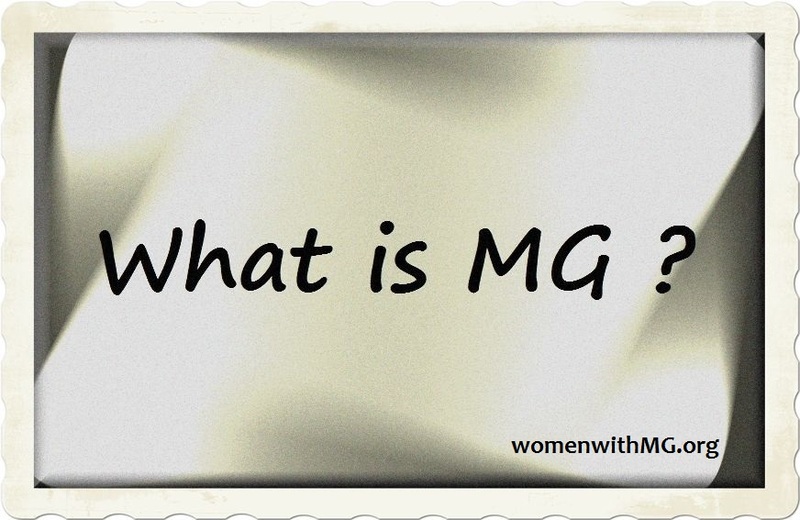 Usually when we loose a long-time member of our MG support group, I write something. When we lost Jen, I couldn’t. I couldn’t bring myself to write the words, type her name, any of it. I took her death hard. I still wish she were with us, chatting, or sharing a funny private message at random times of the day. It all still seems just as unfair and just about as shocking as it did a year ago. I’m sure there are some that would question me saying it was “shocking”, due to how sick she had been at times with MG and how much she had struggled. But Jen was one of the survivors. She was a warrior that had been in serious trouble so many times and had always stayed with us, until she couldn’t. Jen was a sweet and kind person. She devoted a tremendous amount of time to helping others online. She wrote a piece for our website here back in 2013. But in the last year or two of her life she had pulled back from her online life somewhat and focused on her family more. We had private conversations about that, about what was most important in life and her desire for that, and I supported her decision 100%. Knowing what I know now, I’m glad that she did that. I am sure that her family, and especially her children are missing her terribly. I may not have been able to write a proper tribute to her last summer. But today, I would like to say something to Jen’s children. I hope you never forget that you had a true warrior for a mother. She fought as hard as anyone ever did and she is still with you in your hearts. Jen was a woman of faith and I am sure she is in a better place. I’m sure she is so very proud of you. We all face challenges in life. Whenever you face challenges, I hope you will remember that you have that fighting spirit of your mother in you. So when the world seems tough, just remember, you are the children of Jen Walsh. You have her strength in you. You have her kindness in you. She lives on through you. You don’t know me, but your mother shared many stories of you with me. She loved you more than words could ever say. So today, I just want to tell you that we send you our love and we send so many thoughts and prayers your way. Thank you for sharing your mother with us. She touched our lives too, and she will not be forgotten. ← Previous Previous post: Our Muscles May Be Weakened, But We Are Strong! Beautiful. I still can’t believe she’s gone. Thank you, Kerri. It’s still hard for me to believe too. I have stepped away from social media for a good 2 years now to focus also on family. I am completely taken back to read this and discover sweet Jen has passed. 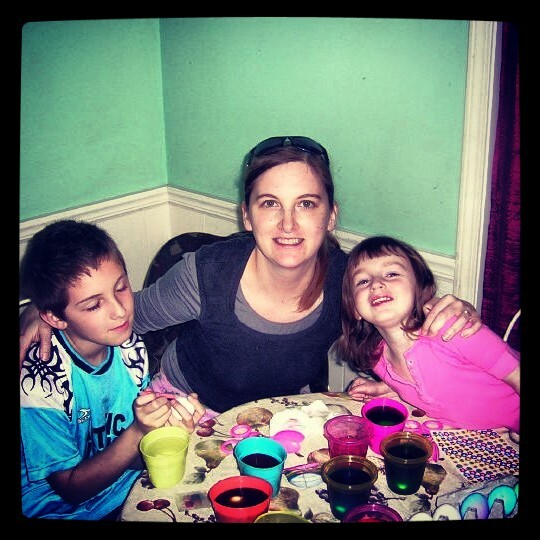 Jen was always positive and upbeat no matter what was throw her way. Thoughts and prayers with Jen’s family on her special day. Hi Shannon, it’s nice to hear from you. I am very sorry you are just hearing this news. Congrats on spending more time with your family. It is good for all of us to do that. I hope you are doing well. Thank you for sharing this, as a mom and now a grandma with MG, I worry every day that I will leave my beautiful family behind. My heart breaks for Jen’s children. Thank you, Megan. I understand, I have the same concerns. But like I tell everyone, everyday that you survive this disease and live the best life that you can, is one day closer to a cure. It is my hope that we will see a cure someday. She was very active in other groups; she posted the day before she died. Tracy, I’m sorry if you misunderstood the post. I did not intend to imply that Jen wasn’t still posting in our groups. I said she “pulled back from her online life somewhat and focused on her family more”. That is what I meant, that she had reduced her time spent online, not that she had abandoned her beloved groups and friends. She never did that. Jen and I had extensive conversations about this and about her feelings regarding what went on in certain groups. But, of course, she was still there for all of us. If my post appeared to imply otherwise, that was not my intent at all. I’m sorry you misunderstood.